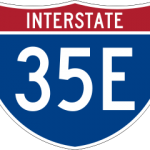 The Dallas Stemmons Corridor is the section of Interstate 35 beginning just north of Downtown Dallas and extending up to the LBJ Freeway (Loop 635). The area is diverse with a mixture of industries and business of all sizes and types. The southern end, close to Downtown, is the Medical District of Dallas. Many medical groups, hospitals and private practices are scattered throughout the area. Some large facilities include: Parkland Hospital, Children’s Hospital and Southwestern Medical Center/School. There is a significant concentration of Telecom companies here as well. The older of Dallas’ two convention centers, the Hilton Anatole Hotel and the World Trade Center are also located in the area. Further north, the Stemmons Corridor becomes more industrial with many transportation companies and large warehouses. The Stemmons Corridor became a focus area for development in the 1970s due largely in part to the vast amount of transportation in the area. One of the busiest highways on the continent, I-35, is a major artery of commerce feeding the submarket. Stretching from Mexico to Canada, I-35 is an international trade highway, nicknamed the NAFTA Highway. The Dallas Area Rapid Transit (DART) rail system’s Green Line provides public transportation along this stretch of highway and many other areas of Dallas. Stemmons is home to both of Dallas’ major airports, with DFW International Airport at the north end and Dallas Love Field Airport at the south end. The proximity of the airports alone makes the area attractive for office -based businesses that require frequent air travel. American Airlines Center, where the Dallas Mavericks, Dallas Stars, concerts and many other events take place, is located at the south end of Stemmons. Also, the convention center at Market Center Drive along with the Hilton Anatole Hotel regularly host tradeshows and conventions. The intersection of Northwest Highway and Stemmons is commonly known as Restaurant Row due to the large number of restaurants and eateries packed into such a small area. Slightly west of Stemmons on Northwest Highway, is Elm Fork Gun, where shooting sports and other activities take place. The Irving Convention Center attracts a variety of crowds as various events are held there. At the very north end of Stemmons, there are several large shopping centers, as well as a “Speed Zone”, where you can enjoy family fun racing go karts, bungee jumping and playing arcade games.